Apple Heading To Wireless Charging? 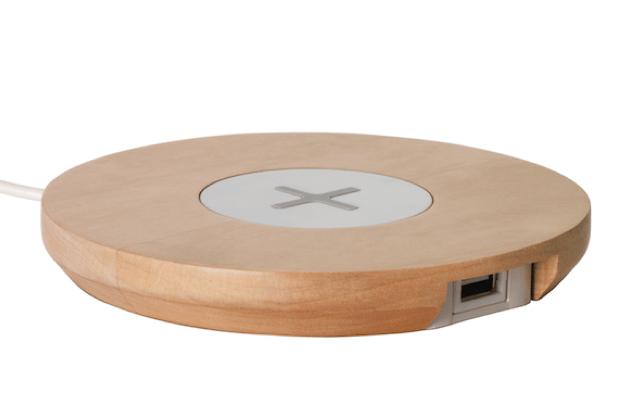 Why would a lot of users want wireless charging for their mobile devices? One reason is convenience. It would be different if we will just place our phones down the mat or table; knowing that it will be recharged without the need of plugging the charger or the wires. But the current wireless charging solutions require more energy to use than the old way of charging, posing great risks to the environment. Apple has been researching about inductive charging and possesses patents for Mac’s wireless charging. Its master patent is somewhat interesting since theoretically, it will allow recharging multiple devices simultaneously making use of one near field magnetic resonance (NFMR) recharge station. This will simply mean that your Mac, iPhone, iPad, iPod, could all be recharged at the same time using one system occupying a small space of your home! But the possibility of an efficient wireless charging system for mobile phones does not end there – even electric cars and other vehicles will soon enjoy the potential power of charging wirelessly. Furthermore, we can now recharge our devices like wireless mice and keyboards, lamps, and digital photo frames through the WiPower tech of Qualcomm. Will Apple implement the same technology to power its macs, iPhones and iPads? Let’s all see…. What we can expect in the years to come is that charging wirelessly won’t stop only with smartphones – even the world’s “ultimate mobile device”, the car will likewise benefit from the developments of this certain innovation. Qualcomm recently revealed its new and extra powerful wireless charging technology for Formula E safety cars that will be released possibly next year. In the United Kingdom, series of trials to dynamic charging systems intended to keep vehicles charged while on travel will start this year – calling them as electric avenues on existing roads. Eddy Grant must have been predicted the future when he wrote “Electric Avenue”. Juniper Research anticipated that wireless charging adoption for mobile devices will speedily increase in the coming years, with 40% increase in US households and 20% in Europe by the year 2020. According to James Moar, Juniper analyst, “Wireless charging will ultimately be about more than the power and speed of charge”. There is a great likelihood that there is more for Apple’s attempts for wireless charging than making iPhones compatible with any mat or IKEA table lamp. And that the Apple car rumor and speculations seem very, very credible.